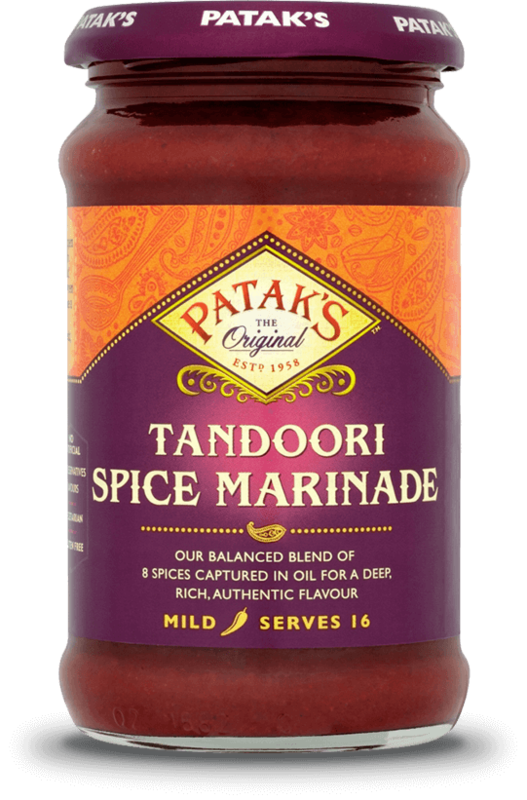 Our authentic blend of aromatic spices, ginger, tamarind & garlic for a beautifully balanced tandoori dish. Water, Ginger Purée (18%), Ground Spices (11%), [Coriander, Cumin, Paprika, Spices], Tamarind (8%), Salt, Acids (Acetic Acid, Lactic Acid), Garlic Powder (3%), Colours (E163, E122, E129). A wonderfully tasty chicken dish, using succelent, marinated chicken drumsticks - this is mild in flavour, but the cashews, cardamoms and honey really give the sauce a lovely sweetness. It is a simply divine dish. You can use Tikka Masala Spice Paste instead of Tandoori if that's what you have handy.